SAN ANTONIO and WHITE PLAINS, N.Y., April 3, 2018 – A ribbon cutting ceremony will be held at 10:30 a.m. EDT today by Christus Hospital of San Antonio to celebrate the grand opening of the new Children’s Hospital of San Antonio Health Pavilion – Stone Oak at 1434 E. Sonterra Blvd. Developed by real estate investment firm Seavest Healthcare Properties LLC and developer Trammell Crow Company, and located about 15 miles from the three-year-old CHRISTUS flagship hospital in the heart of downtown, the facility brings higher-quality, more comprehensive and convenient pediatric care, ambulatory and emergency services to North San Antonio. The three-story, 60,000 square foot Health Pavilion – Stone Oak is a steel-framed and masonry clad ambulatory care facility featuring an emergency department, pediatric subspecialty care, primary care, physician offices, diagnostic imaging services and specialty outpatient services. The Health Pavilion – Stone Oak is part of an ongoing effort by CHRISTUS Santa Rosa Health System and The Children’s Hospital to expand their network of care into the communities surrounding downtown San Antonio. “We are excited and proud to unveil this new facility that delivers an extension of world class pediatric care as well as high quality primary and specialty outpatient care provided by Christus and independent physicians in the Stone Oak community,” explains says Malika Basheer, Vice President at Seavest Healthcare Properties. 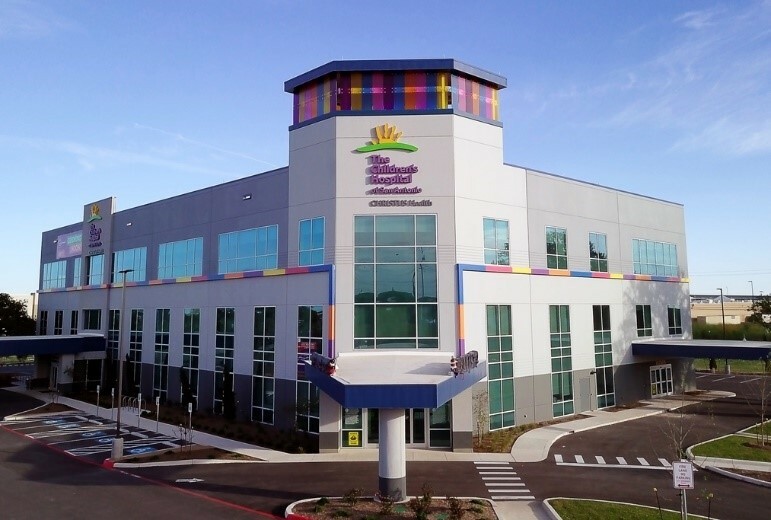 The Health Pavilion’s first floor houses The Children’s Hospital of San Antonio’s Emergency Center at Stone Oak and KidSTOP, a pediatric outpatient testing and treatment center first launched by The Children’s Hospital of San Antonio in 2009. It is designed to be a convenient and anxiety-free place for children to receive medical services without having to visit the hospital. The second floor houses medical office space for independent physicians and the third floor is fully dedicated to pediatric, primary care and specialty outpatient services affiliated with physicians from the collaboration between the Children’s Hospital of San Antonio, Baylor College of Medicine and Texas Children’s Hospital. The property is owned by Seavest. Additional space remains available in the building. For leasing information and space availability at the Health Pavilion – Stone Oak please contact Paul Barker of Endura Advisory Group at (210) 918-6393 or pbarker@endurasa.com. 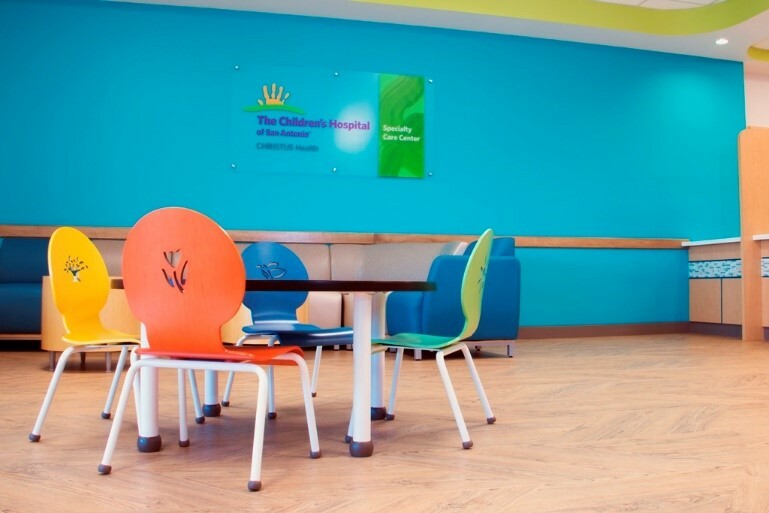 The Children’s Hospital of San Antonio is the first freestanding hospital in San Antonio solely dedicated to the care of children. Located in the heart of downtown San Antonio, The Children’s Hospital of San Antonio is owned by CHRISTUS Santa Rosa Health System. Baylor College of Medicine, one of the top medical schools in the nation, is the academic partner of The Children’s Hospital with 170 pediatric subspecialists affiliated with Baylor. In addition, community physicians in private practice remain a valuable partner in the care of children in our community. CHRISTUS Santa Rosa Health System is a health care ministry that works to continually meet the needs of the community to extend the healing ministry of Jesus Christ, following the values and mission of our sponsoring congregations: Sisters of Charity of the Incarnate Word of Houston and San Antonio, as well as our newest sponsoring congregation, the Sisters of the Holy Family of Nazareth. For additional information on The Children’s Hospital of San Antonio, visit www.chofsa.org or for more information on CHRISTUS Santa Rosa, visit www.christussantarosa.org. Find us on Facebook at www.facebook.com/ChildrensHospSA and follow us on Twitter at www.twitter.com/ChildrensHospSA.